Dream 11 application has become an entertainment and rejoices element in the world of cricket for its fans. It was developed in 2008 but gained popularity in 2012. Fans build up their fantasy teams and cheer themselves with full cricket game but on their terms and teams. Krunal Pandya has got the better-quality then AB de Villiers most of the times. He could be a risky choice for this game. Kieron Pollard has a great record at the Chinnaswamy stadium. Only two of De Villiers, Rohit and Kohli could be picked if Hardik Pandya has to make it to the fantasy team. 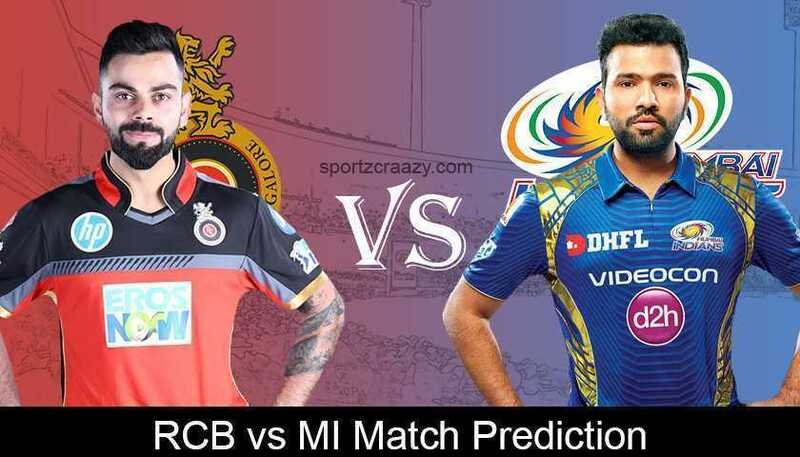 Both the teams are most motivated and have all that it takes to get the title of VIVO IPL 2019 but a little advantage in this match is to RCB as it would be its homegrown and audience. But the figures reveal that Mumbai Indians have fought much well in all the atmosphere and have much greater win chances to RCB. As not much changes are to occur in both squad so this will be a benefit to respective teams to play with each other weakness and strengths.